The connection of the Haftorah to the Parsha: Just like Avraham (Abraham) and Sarah, the Shunamite women and her husband were old and childless. In both cases, Hashem miraculously granted them a child. The storyline of this week’s Haftorah: A poor widow complains to Elisha that she has no money to pay her debt to the Israelite King Achav & his evil Queen Eyzevel’s (Jezebel) son. Her deceased husband was the prophet Ovadiah, minister to King Achav. Ovadia had spent all his money on oil for the lamps that lit the two caves that hid the last 100 prophets from the evil King Achav and his evil wife Eyzevel (Jezebel). Elisha asks the widow if she has anything of value and she replies that the only thing she has left is a pitcher with a little oil. He requests that the widow bring as many empty pitchers as she can to him. Elisha miraculously enables the small amount of oil in her pitcher to fill many pitchers. Then, by selling the oil she is able to repay her debt and still have money to live on. A 2000 year old Glass Anointing Pitcher by the Great Greek Glass Blower Enion. Elisha, traveling with his servant Gaichazi, lodges in the home of a woman in Shunem known for her hospitality. The Shunamite women and her husband show Elisha great hospitality, and kindness; they gave him a bed, a table, a chair, and a lamp in a room of his own. She insured that he always has a place to sit and learn when he came in to town. On Rosh Hashanah, Elisha sends his servant to ask the women how he can repay her. She does not ask for anything. Elisha does not want to accept that and Gaichazi tells him that she does not have any children. Elisha calls for her to come to him and he promises her that she will have a son. She does have a son, however tragedy strikes when a few years later, the child is playing out in the field has a heat stroke. His mother comes running out into the field to hold her son as he dies in her arms. The Shunamite woman travels to find Elisha to tell him of her tragedy. Elisha, with much compassion, sends Gaichazi to revive the child. Gaichazi's attempt at performing the miracle is unsuccessful. Elisha comes to Shunem to perform this great miracle himself. He puts his mouth on the child and says Hashem's name. The child sneezes seven times and awakens. Was the head teacher of the school called Benai Haneviem, otherwise known as the “Sons of the Prophets.” There they learned the skills of prophecy. Was Eliyahu (Elijah) Hanavi's disciple and successor. He traveled everywhere with him. 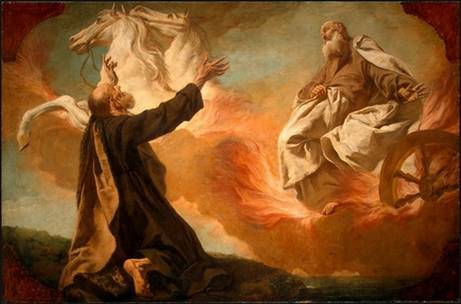 Elisha's own lengthy ministry began when Eliyahu was taken to heaven by a fiery chariot and a whirlwind. 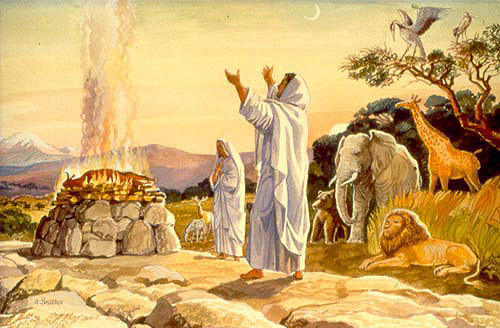 Just before a fiery chariot appeared that would carry Eliyahu up to heaven, he asked Elisha what he would like from him. Elisha replied "Let me inherit a double share of your spirit". Eliyahu, unable to guarantee that G-d would grant the blessing, gave Elisha a signal to know if the blessing would materialize: if his robe would drop down from the heavens. It did. Eliyahu performed eight miracles and one resurrection of the dead. His student, Elisha, performed sixteen miracles and two resurrections of the dead. Famous Phrases: Kings II 18:39. "Hashem who ha'Elokim, Hashem who ha’Elokim". The entire people saw and fell on their faces and said "Hashem - He is the G-d, Hashem - He is the G-d". Haftorahman's lesson of the week: Whereas man is limited by the laws of logic, G-d is not. Avraham & Elisha both understood that Hashem supersedes nature and logic-for He created its forces- and therefore both relied on Hashem. If He wants a man who is one hundred years old to have a child, then it will be so. If Hashem wants a poor person to get rich, it can happen in a second. We all know the story but how many of us still say, "Business is not good, I'll work harder", instead of saying, "Hashem is the source of all blessings and I will pray to him for help." Next time choose faith over logic and see what happens. 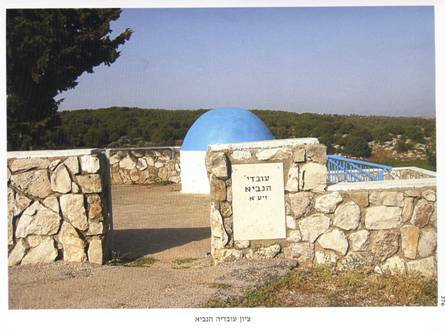 Biblical Shunem where Elisha performed the resurrection of the Shunamite Woman’s dead son. Timeline: This Haftorah occurs about 2720 years ago in the Jewish year 3040, before the first temple was destroyed. Map: Shunem is a Northwestern City in Israel.